Continued from right: Having the larger car proved to be a stroke of luck as in Jan/Feb of 1960 I toured with American rock ‘n’ roll legends Eddie Cochran and Gene Vincent and it enabled me to drive them to our shows instead of travelling on the tour bus. I eventually had another TH Coupe reg 4970BY. Same spec as my first one but no leaks. I loved it and had a Phillips Postagram installed that played 45rpm vinyl records which was unique at the time. Artistes such as Eddie, Gene, Billy Fury, Joe Brown, Marty Wilde and Adam Faith were among many of the notable passengers who travelled with me in the THC. Info: In 1959 I was a well known pop star and appeared on TV every Saturday. For my 19th birthday on June 4th 1959 my manager gave me a TH Coupe and set up the presentation to take place in Queens Gardens in Kensington. He arranged for a Daily Herald press photographer to be present and the following morning the headlines on one of the inside page headlines read, "A Triumph for the Herald as pop star Vince receives his birthday present of a Triumph Herald", or something along those lines. Unfortunately the car had to go back to the show room, I think in Cheltenham, as there wasn't one available for me to keep. I finally took delivery 3 weeks later. The cars reg was UCJ 993 I really wanted a Jag XK120, which I could just about pay for but couldn't come close to affording the insurance. When I did take delivery it wasn't long before I was having problems due to water leaks. 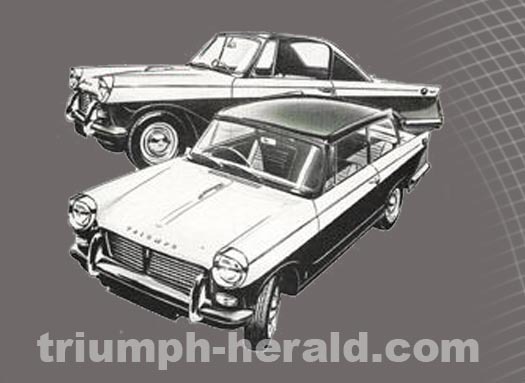 The innovative design of the car was allowing water to penetrate the foot wells so the Triumph Standard dealer took the car in on a couple of occasions in an effort to fix the it. 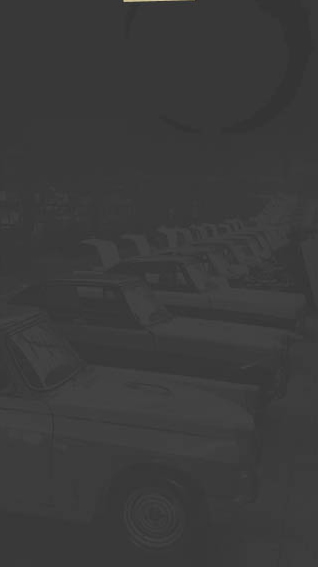 In January 1960 the dealers lack of success prompted them to transfer it to the Standard Triumph works in Coventry to sort it out and they gave me a Standard Vanguard to drive whilst the Coupe was off the road.